Many are the services of the Tourist Village Elea of Ascea Marina: restaurant service, excursions, spacious parking and a reception always at your disposal. For us eating well is one of the greatest pleasures while on vacation. You are free to enjoy whatever you want and also wine and drinks are included in the price. The restaurant of the resort is composed of a large room with large windows and tables for eight people, designed to promote conviviality. It is a pleasure in the morning going there and enjoy the sweet breakfast we propose with milk, chocolate and fruit juices and genuine and gourmand products such as cakes and croissants baked directly by us every morning, jams, yoghurt, cereals and fresh cakes. 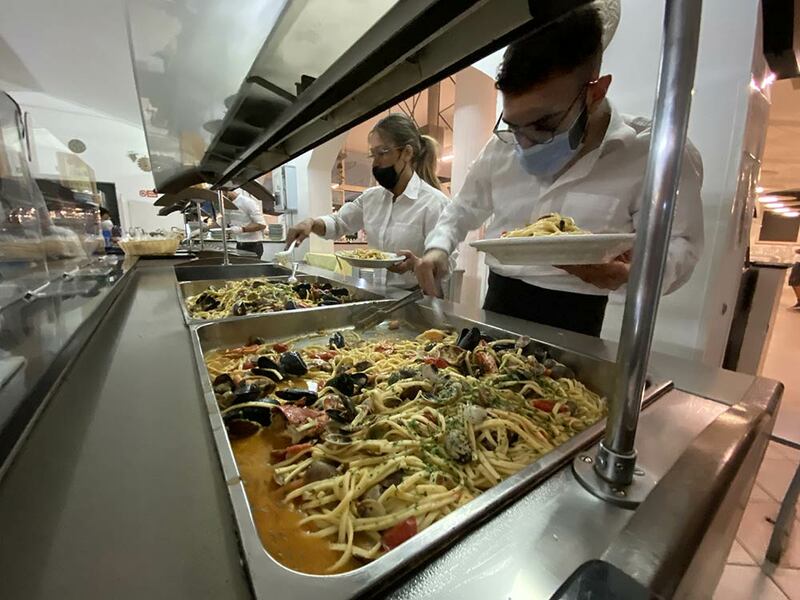 At lunch and dinner we serve a rich buffet with 3 first courses, 2 main of fish or meat and a part dedicated to the starters and to the side dishes. 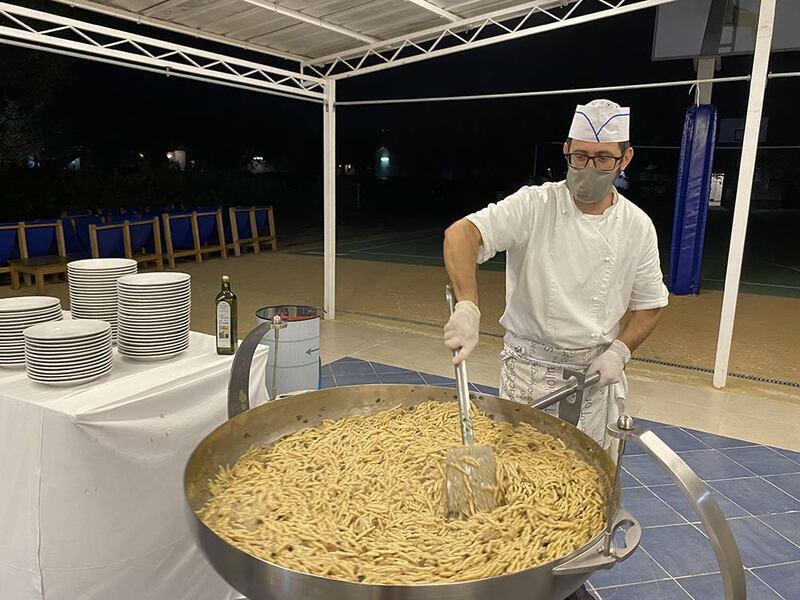 Our chef prepares delicious dishes of the Mediterranean tradition using only the freshest and local ingredients, also fresh pasta and bread are produced by us every day to ensure maximum freshness and authenticity! Sometimes the local flavours meet the French ones and the dishes prepared amaze even the most demanding palates. The reception is located at the entrance to the village, is open every day from 8 a.m. to 23.00 for welcoming our guests and to provide them with continuous assistance. For any information or problem, our multilingual staff (English-French) will be ready to accept requests and to solve any issue in short time. The reception is also the place where you can get information about the programs of sports and recreational activities.